There is a popular theory that young people all use the Internet like crazy and that they would rather do everything online and avoid meeting face-to-face. That popular theory is the very stuff of tabloid media, with the readers of something like the Daily Mail appearing to think we’re all off to hell in a handcart. The proverbial “Disgusted of Tunbridge Wells” would reckon that youngsters these days are turning into zombies with their “constant use” of the Internet. You can just hear Mr Disgusted shouting “they should switch that damn Internet off”. Of course, reality and what the tabloids might tell you are often different. New research now reveals how mistaken we can be when it comes to assuming what youngsters want. In an interesting and comprehensive study at Concordia University in Montreal, Canada, researchers have found that technology is much less interesting to students than good, old-fashioned, face-to-face contact. The study investigated the view of over 15,000 students and 2,600 lecturers in a 120 question survey. In other words, this is a substantial study. And it found that students were much less enthusiastic about all the technological wizardry than their older lecturers. What students preferred was to have rather ordinary lectures – which have been around since the first university was established in Bologna in 1088. Lectures have stood the test of time…! True, some lecturers might be boring, but students prefer these face-to-face encounters it seems, than all the “enhancements” which some lecturers try to provide, such as Facebook groups, Twitter streams and so on. All the technological additions are much less popular than lecturers might think. It is a reminder that we should not assume in these online days that face-to-face is unimportant. At the weekend I was at the Professional Speaking Association Annual Convention where one of the speakers pointed out that almost all of his business comes from just eight people. 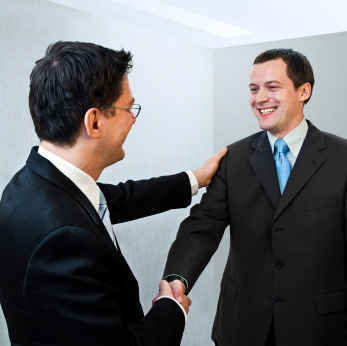 The business they provide him is significant and almost all the interaction he has with them is face-to-face. Indeed, he doesn’t even have a website, nor is he on Twitter or any other social network for that matter. His business comes from good, old-fashioned, face-to-face contact.